Refusing rice and chicken curry. She is such a fussy eater, spoiled American. Again they pestered, What are you feeding her? Asking in third person, as if I wasn’t there. Is she drinking milk to clear her teenage acne? Why is her hair not straight like the American models we see on TV? For saris, when the men will begin to watch. For pushing away food, being the last to eat and only if there is enough. That she has become dark like the midnight sky or a burnt paratha. She is short, plump like us. There are six yards of material. Amy Paul is a nonprofit consultant and grant writer based in New York. 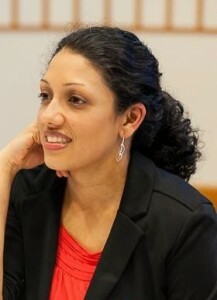 She has worked for South Asian Americans Leading Together (SAALT), South Asian Youth Action (SAYA! ), and NPR’s StoryCorps. Amy previously served as a radio host on WBAI’s 99.5 FM Asia Pacific Forum and a board member of Adhikaar for Human Rights. Through her professional and creative work, she believes in the power of storytelling as a medium to build empathy and understanding. Amy has a MA in international affairs from the New School and a BA in public policy from the University of Chicago. She lives in New York with her husband.